Polygraph Millionaire is one of those binary trading softwares that promises huge profits with no effort or experience. Unfortunately, Polygraph Millionaire is just a scam. I have 3 readers who emailed me about losing all their deposits with the auto-trading software, so I’ve written this article for those who are still considering to fund their accounts. Spending a couple of minutes reading this Polygraph Millionaire review can save you hundreds of dollars. Can you really trust Daniel Wilkins on this? 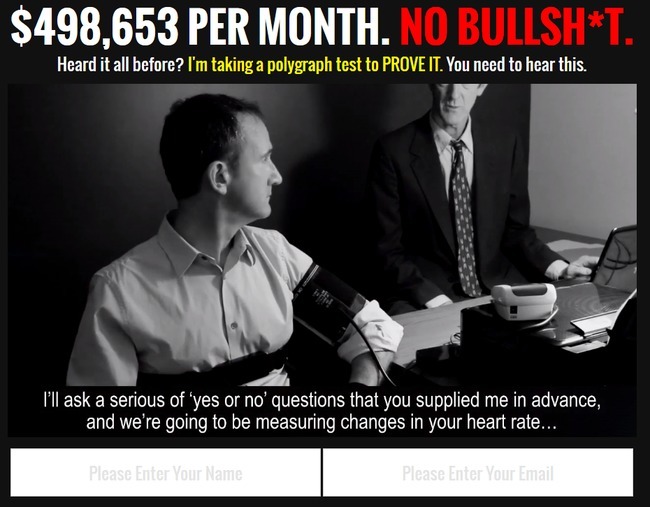 The alleged owner of the Polygraph Millionaire software, Daniel Wilkins claimed to undertake a polygraph test just to prove that he’s not lying about his profits. Well, unfortunately, this is the very same scam that I’ve exposed few months back, which is a re-branded version of Lie Detector Millionaire scam (click the link to read my previous review on the scam). Polygraph Millionaire is produced by the same scammers behind Lie Detector Millionaire scam, they have just changed to name to trap new victims. You can never make any real profits with this kind of “push button software”, because none of them work. After conducting a bit of background check on “Daniel Wilkins”, I realized that he was also featured in another scam called Blazing Trader. Apparently, he is an experienced actor who was hired by the scammers behind these frauds to present their scams. 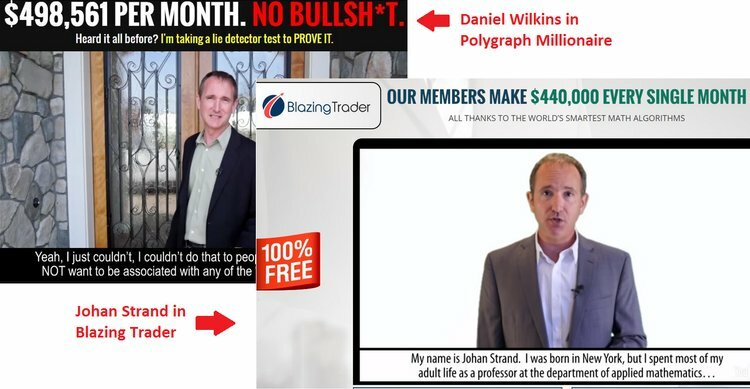 While he identifies as “Daniel Wilkins” in Polygraph Millionaire and Lie Detector Millionaire scams, he introduced himself as “Johan Strand” in Blazing Trader. Hiring actors and actresses is not new to online scams. I’ve reviewed other frauds that used the same tactic to appear legitimate, some examples are Dubai Lifestyle App and Instant Cash Club that I’ve reviewed recently. Generally, these spokesperson can be hired from Fiverr.com for as low as $5. Below the sales video, we can see a section dedicated for the “Real Time Results” from other Polygraph Millionaire testers, and every single one of them seem to make good profits from the system. 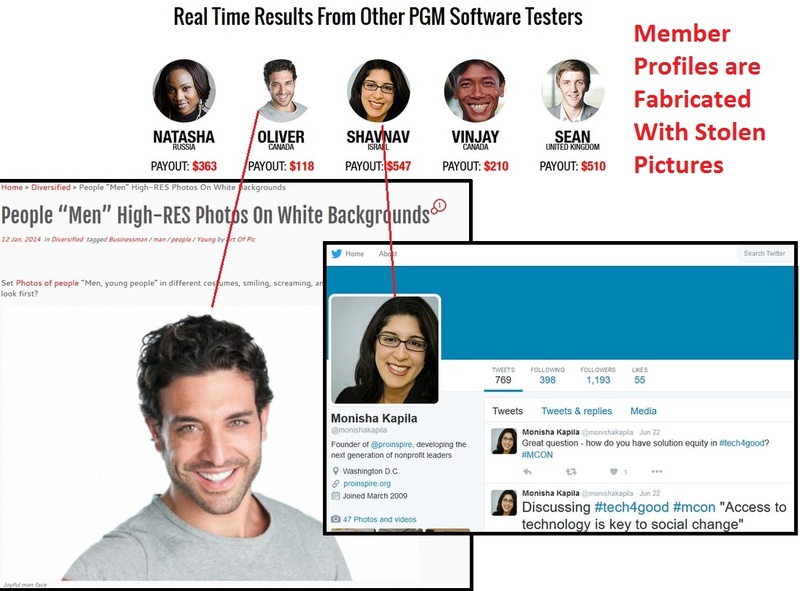 Knowing the huge number of fabricated profiles in these online scams, I conducted a background check on every member using their profile pictures. Unsurprisingly, I found that everyone of them was fabricated using stock photos or stolen pictures from the internet (screenshot above). For example, “Oliver” from Canada was fabricated using a stock photo found from Elsoar website. Similarly, “Shavnav” from Israel was generated using a stolen picture from the twitter account of “Monisha Kapila”. None of these individuals are related to Polygraph Millionaire fraud, let alone generating good profits from it. There are no real trades and profits behind those numbers. 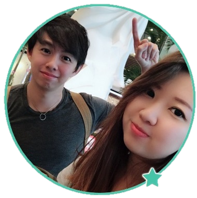 Throughout the sales video, Daniel Wilkins has been promising you guaranteed profits as long as you use his software to trade binary options. Now that we have revealed Daniel is just a hired actor, we know for certain that the software doesn’t work. But what if you couldn’t find out the subtle truth? Here’s another way to sniff out the truth from most online scams without having to pay for them – You find the risk disclaimer document located at the bottom of their sales page. You won’t find the disclaimer anywhere within their sales material, because it’s supposed to be hidden from you. That is why they tuck it away at the bottom of their sales page. You can verify the authenticity of the terms above by comparing the screenshot against their original disclaimer: polygraphmillionaire.com/terms. Despite coercing you to sign up for the “free” money-making software, Polygraph Millionaire denies inviting you to trade binary options. Note: Frauds that promise unrealistic returns like Polygraph Millionaire are illegal in many jurisdiction. If they do not include this clause, they are deemed to illegally coerce you into signing up for the scam. Polygraph Millionaire admits that trading binary options is extremely risky, and it’s your own responsibility if you decide to sign up and lose all your investments. NO REAL TRADES HAVE BEEN EXECUTED using Polygraph Millionaire software. All profits quoted in the sales material are fake. What about the profits Daniel Wilkins showed you in the sales materials? Of course, they are just fake profits used to entice you into signing up for the scam. If you decide to sign up for Polygraph Millionaire app, you will be required to open a new broker account with their partner brokers, which are unregulated by monetary authorities. The losses are pocketed by the broker, which is then shared with its partner-in-crime – the scammers behind Polygraph Millionaire system. POLYGRAPH MILLIONAIRE IS A SCAM. I strongly advise you to stay away from the scam if you don’t want to lose your hard-earned money.